The mountains and rivers are what make northern British Columbia a paradise for outdoor enthusiasts. 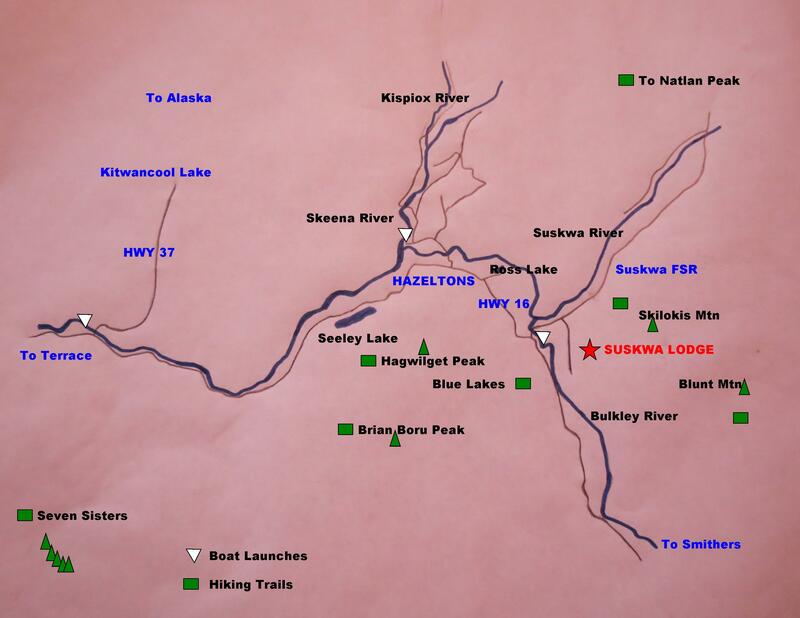 Fly fishing in the Bulkley River, Suskwa, Skeena and Kispiox Rivers....raft the Bulkley and Kispiox Rivers....kayak the Suskwa...paddle board on Ross Lake...canoe Seeley Lake. You could spend days just hiking the local mountains, accessing the alpine...even glaciers. Indulge in a heli-tour of the Seven Sisters or a guided float down the Bulkley.